A mesmerizing townhouse filled with history, character & an amazing place to live, work & entertain. 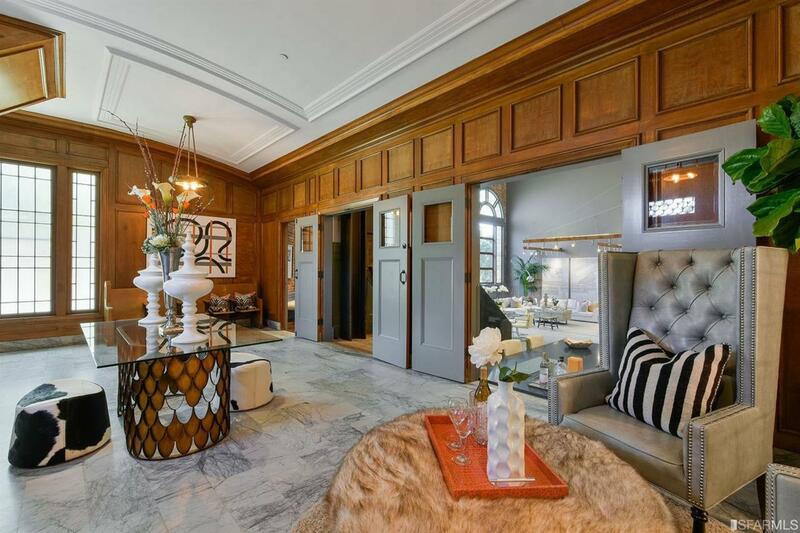 The home features private entry copper-clad door leading to salon with marble floors, barrel ceiling & original walnut wood paneling. Stunning great room has soaring 30 foot ceilings with original stain glass windows, polished concrete floors, exposed brick & sculptural steel beams. The chef's kitchen has honed granite counters, high-end S/S appliances, French cabinets & gas range. There are 3+ bedrooms on their own private levels, with 3 oversized full bathrooms, walk-in closet, a den, loft, family/media room, wine tasting room, exposed brick, exclusive step-out terrace area & 1+ car parking. Custom-built in the historic center of San Francisco, home is directly across from Dolores Park for easy outdoor recreation. 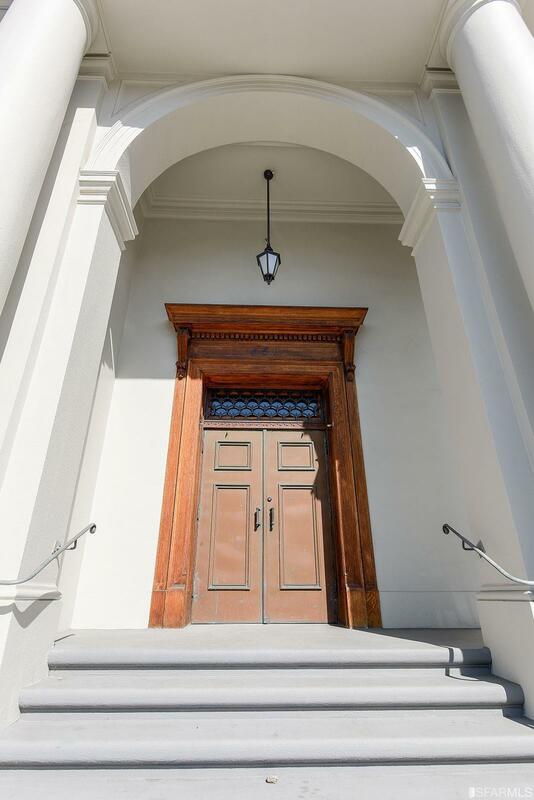 Townhome is crafted from a restored church into a 4 level, spacious luxury home in Dolores Heights, one of the City's most sought after locations. Listing provided courtesy of John Woodruff of Aethos Real Estate.